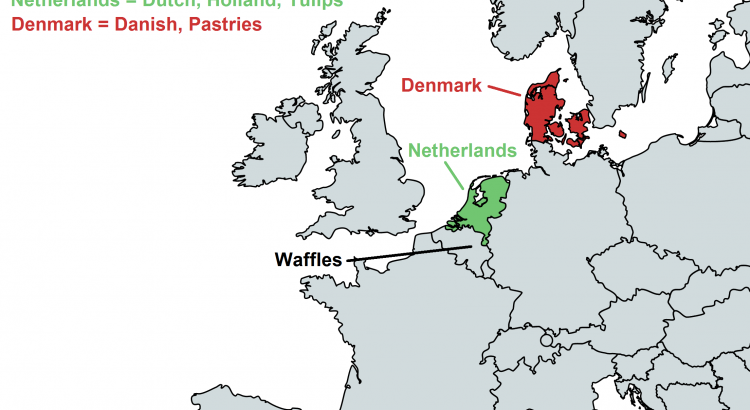 It has come to my attention that people often confuse Denmark and the Netherlands (especially their respective demonyms, Dutch vs. Danish). To help with this issue, I have created my own improved version of a graphic I once found online. Hopefully this helps clear up a bit of confusion. 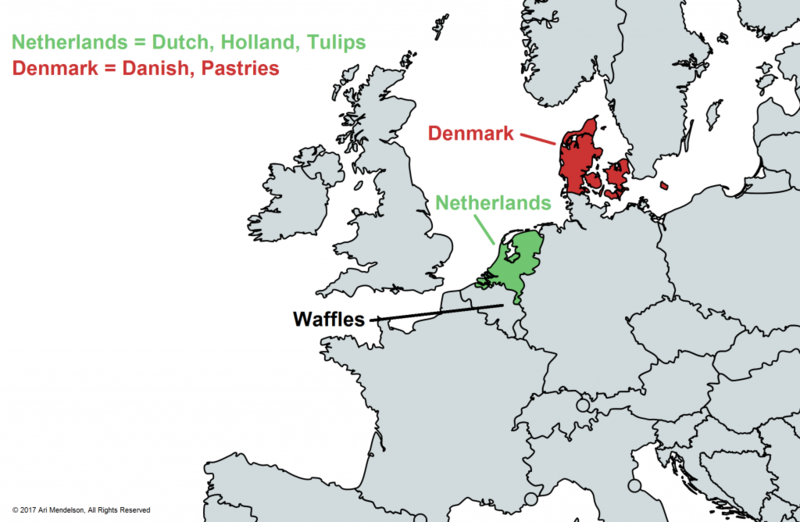 On a somewhat related note, here is a video I suggest by CGP Grey about the difference between Holland and the Netherlands. Enjoy!